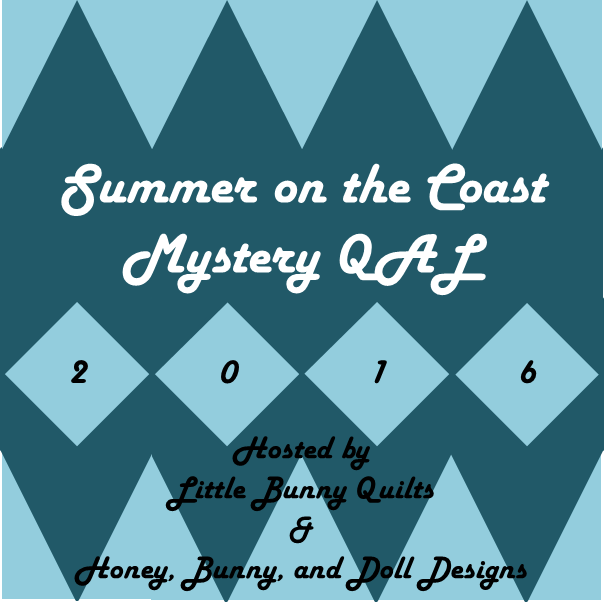 Summer on the Coast QAL: Finished quilt tops! 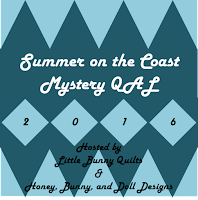 Today I'm excited to show off some finished quilt tops from our Summer on the Coast quilt along! Thank you to all who participated! 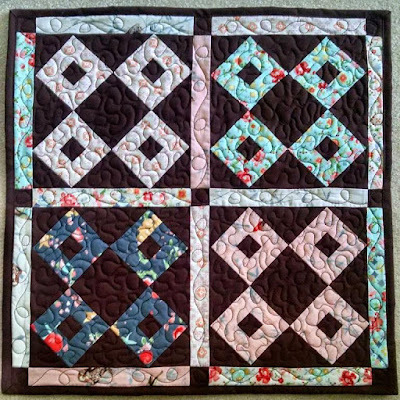 If you have a finished quilt or quilt top, please share it with me and I will add it to this collection! Sharing at Sew Cute Tuesday! It's time for my monthly update on what I've been working on with the Traveling Quilt Bee! 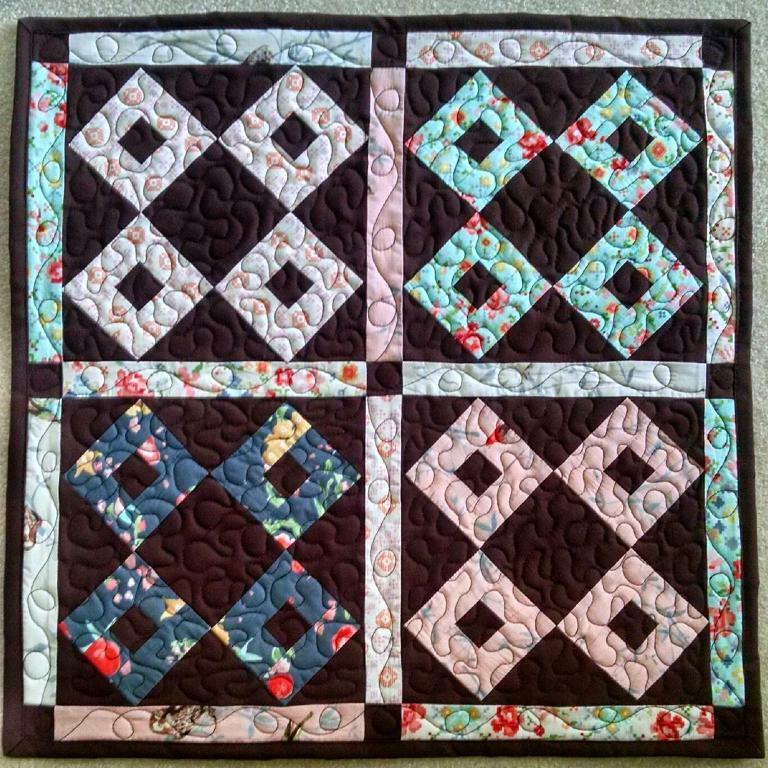 This month I had Nela's quilt and was very excited to work on it. 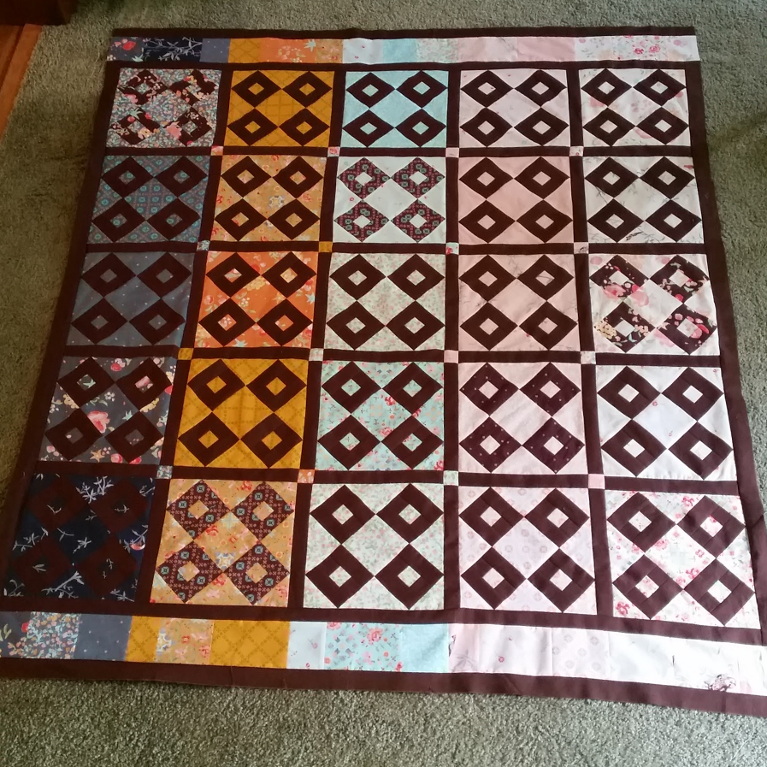 She is someone who I got to know through the Stash Bee, so I was excited to work on her quilt. 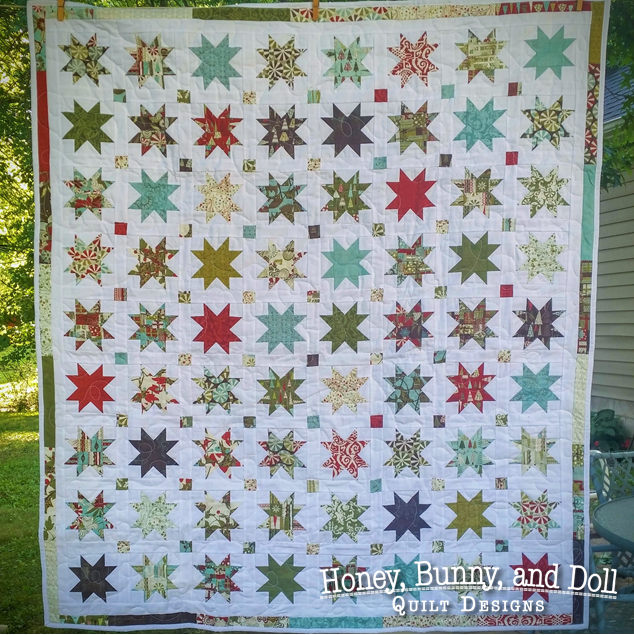 Her theme was stars and modern type prints with a low volume background and I decided to add on six star blocks. The pattern that I used is Sky Rocket from The Quilter's Cache. I pulled lots of bright florals (since her starting star used all Kaffe Fassett fabrics) and used some prints from the Architextures line for my background. It's gotten very long since I last showed it! At this point it is about 30 inches wide and 60 inches long! It's already on the way to the next stop where it will continue to grow! 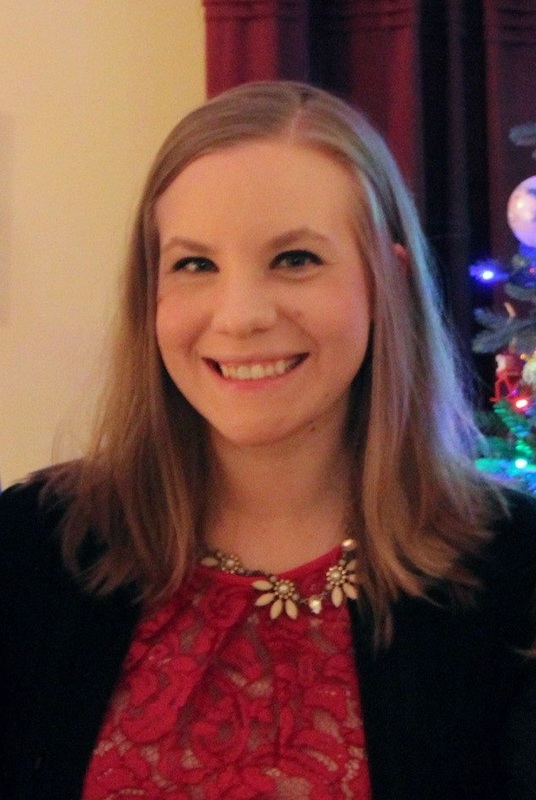 Sharing at Fabric Tuesday and Let's Bee Social! These curves were SO EASY to put together and there was minimal waste. Melissa's cutting instructions and templates made it so that the waste you had was just about as small as it could be -- hooray! 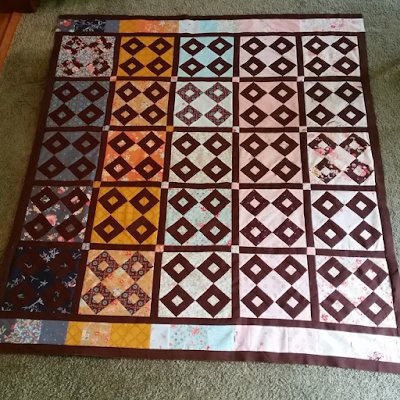 I ended up with a lot of extra arcs and edge pieces because of the color arrangement in my quilt, but I think I will be able to make a table runner or something similar with the extras. Next week, we'll be putting our blocks together! Since I had enough (more than enough!) fabric, I did the optional step of cutting the squares that will be used for triangle units with an extra 1/4 added on. Hopefully this will mean all of my units will be gorgeous! Next month we start sewing -- hooray! Sharing at Sew Cute Tuesday and Fabric Tuesday! I'm so excited to share a brand new pattern today! 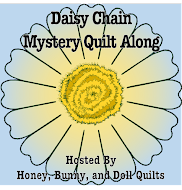 Check out our newest Honey, Bunny, and Doll Pattern: Starlight! This one was designed by my mom! 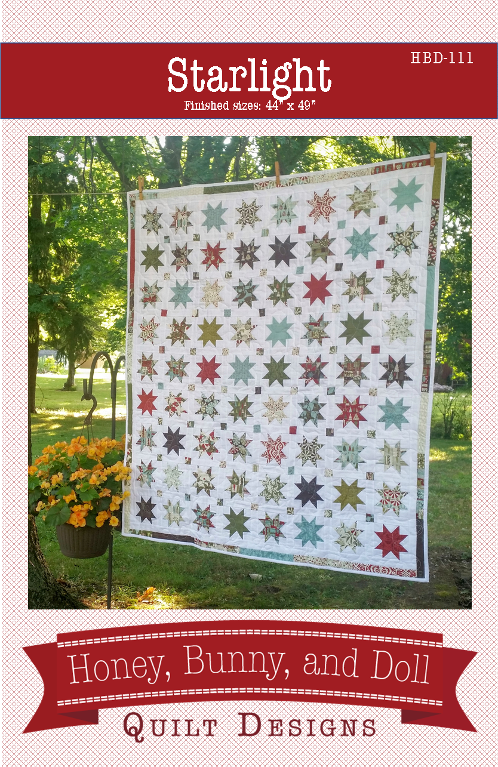 Starlight is a fun take on a classic sawtooth star block which can be made from Honey Buns (1.5 inch strips) or scraps! This version is made from Christmas fabric, but is also the perfect size for a baby quilt! If you're someone who cuts scraps into 1.5" strips, then you're ready to dive into this pattern! This pattern is available on Etsy as a downloadable PDF or a paper pattern. Four Square: New block pattern! 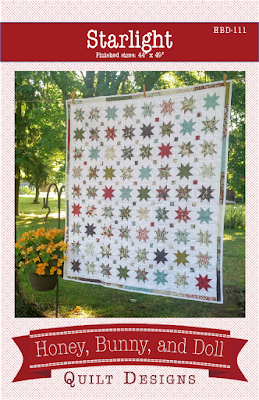 My sister Amanda has put together a fun new block pattern that is now available! Introducing Four Square! Update 1/2/19: This pattern was removed from Craftsy and will be available in our new Payhip Store soon. Thank you for your patience! This block was designed to be easily cut from a 10 inch layer cake square. The example mini above uses four blocks and the throw below uses 25 blocks plus a border at the top and bottom. Can you see how the two samples color the blocks in reverse? It makes for a very fun and versatile block. 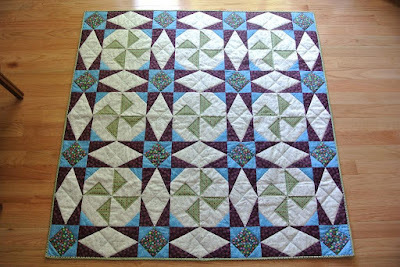 The most recent "assignment" for the Summer Solstice QAL with Melissa at Happy Quilting is to put all of our half-square triangles together. I am making a four block version of the quilt in the baby size, so I needed to make 96 HSTs! I worked on them a little at a time and finally finished them up Friday night while watching baseball. My version of the quilt will be similar to Melissa's original diagrams with three colors + background, so I only needed two different colors of HSTs. For fun, I decided to lay out all of the pieces that I had made thus far and see how my blocks are going to look! I LOVE how this is looking so far! The sections that are "blank" are the sections that we haven't made yet which will be the drunkard's path blocks. I haven't done any drunkard's path blocks before (but I have done a decent amount of curved piecing!) so this is a fun new adventure for me -- especially with their finished size being 3.5 inches! Sharing at Happy Quilting -- check out everyone's progress!